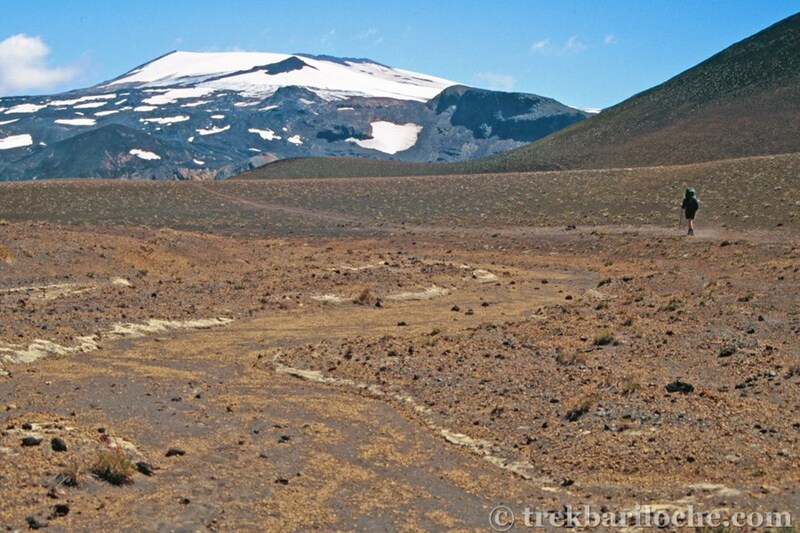 A 7 day cross border trek with three Volcano Summits. 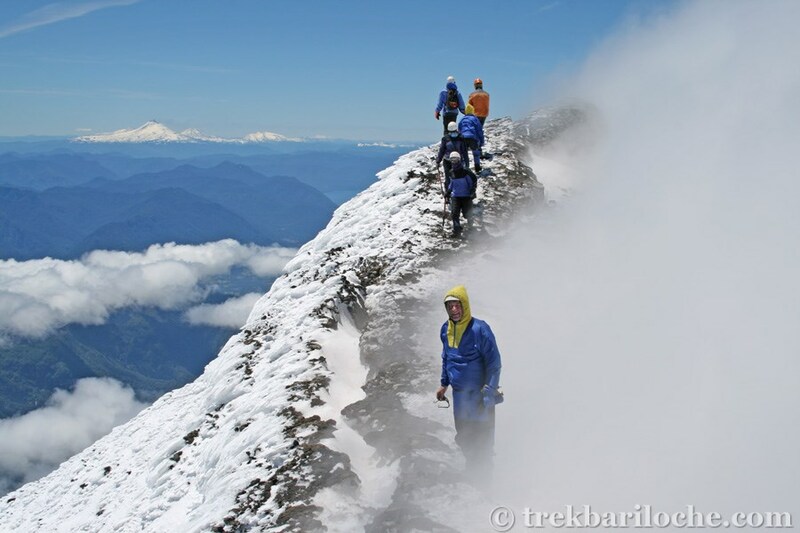 I personally did this trail in 2001 and this page hasn't been updated much since then! Do lots of research and go prepared. 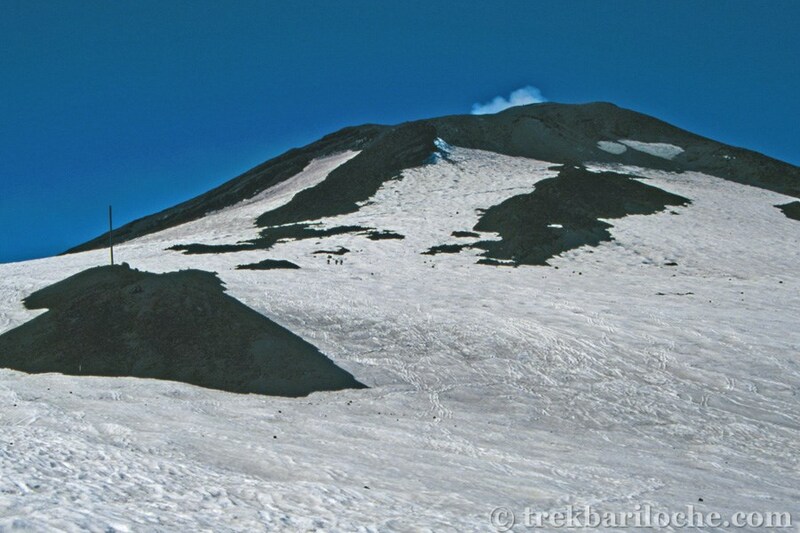 NOTE: Volcano Villarica still off limits due to eruption threat. 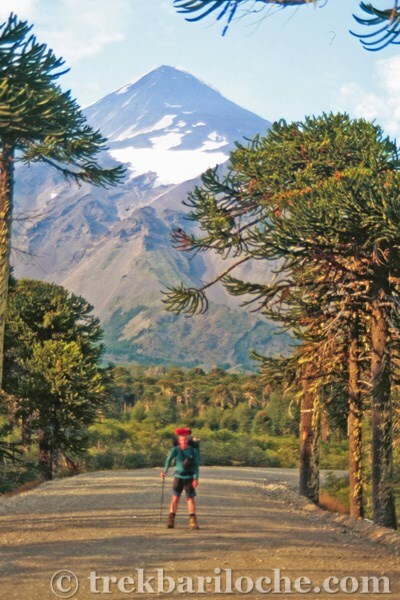 On the Argentina / Chile Border between San Martin de los Andes (Argentina) and Pucon (Chile). 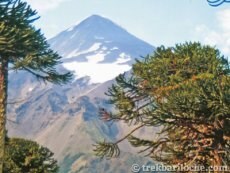 This is a combination of the Lanin & Villarica routes described on other pages and a 2383m high Volcano that lies between them. 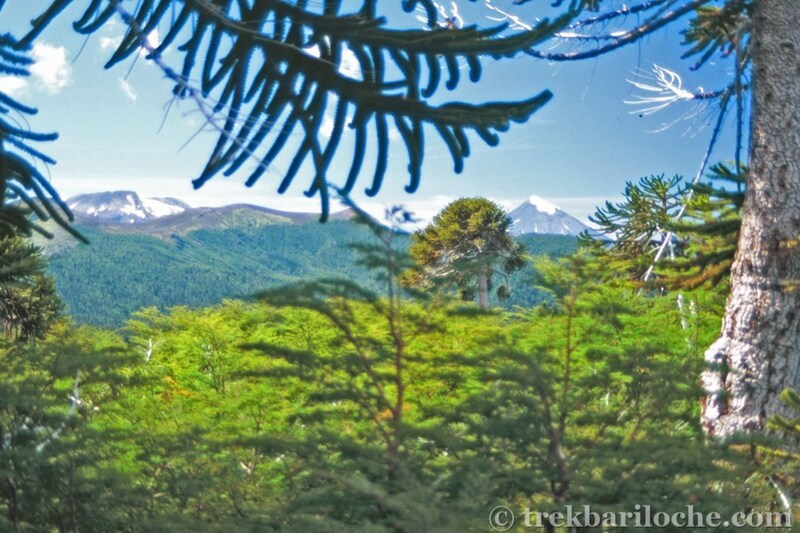 From Junin de los Andes or San martin de Los Andes the bus via Hito Paso Mahuil Malal to Curarrehue & Pucon. Get off at Guarderia Tromen. 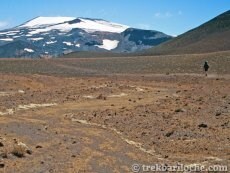 If coming from Pucon 'Igi Llaima' has buses doing this route: http://www.igillaima.cl/. 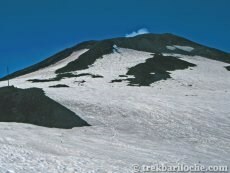 There is no public transport at the ski resort at the base of Volcano Villarica, I don't think there is a public phone either (? 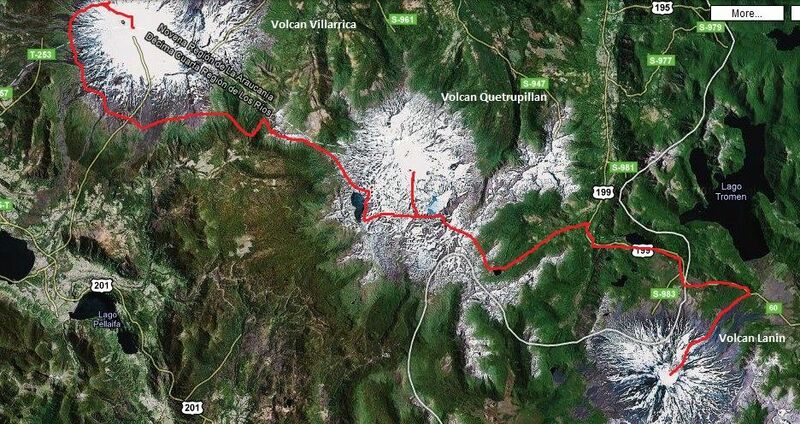 ), so be prepared to hitch from the limited trafic at the ski resort or have a 15km walk back to Pucon! 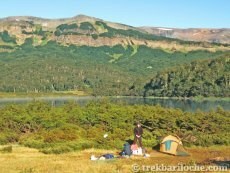 Wild Camps between Lanin and Villarica. 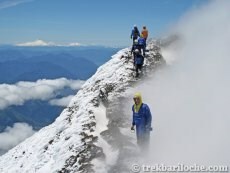 This is a fantastic traverse that is infrequently walked. 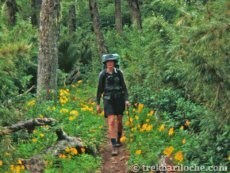 Many people will be encountered on Lanin and Villarica but very few in between. 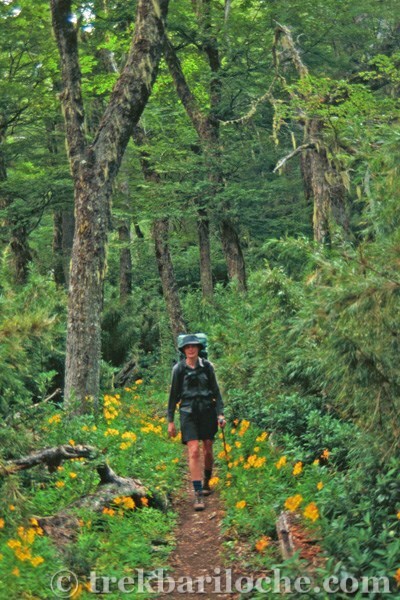 Map reading and route finding skills needed for this 7 day self supported trek. 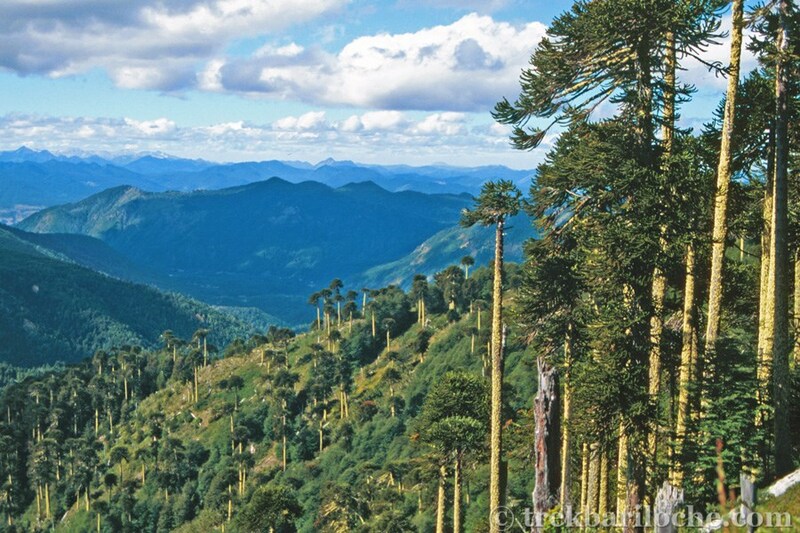 Alternative to catch bus across border between Argentina and Chile, but you will probably need to book in advance and arrange pick up at Guarderia Tromen, as they need the passenger list for the Immigration controls and bus can be full. Only shop (need to confirm this) en route will at Guarderia Tromen. 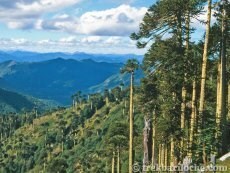 Remember you can't bring fruit and fresh produce (ham, cheese etc) into Chile. 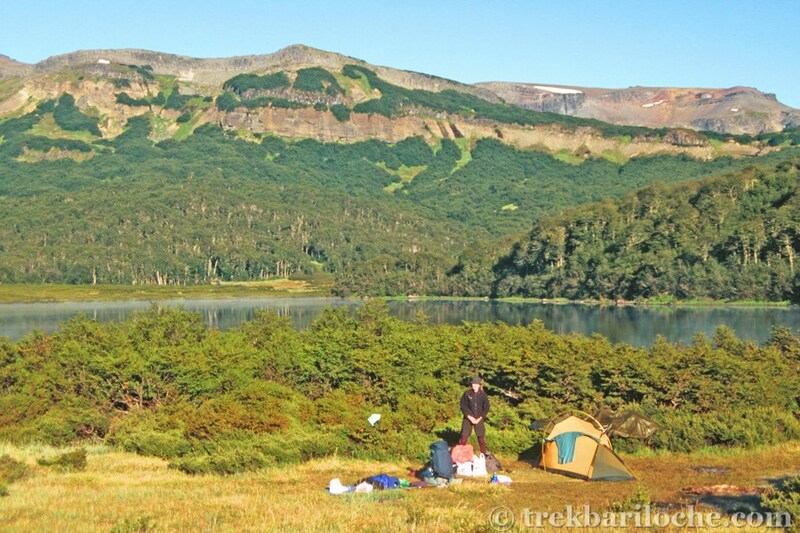 On day 1 water may be limited & dirty on Lanin, take what you need or allow for melting snow. 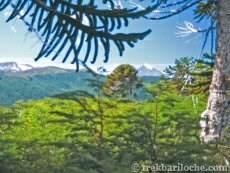 On day 6 water is VERY limited around the base of Villarica. What water this is may be very dirty (undrinkable).